This week, the Annual Legislative Breakfast hosted by MACS (Maryland Association of Community Services) drew an impressive group of State leaders to speak to advocates about the current General Assembly that is just underway. Senators and Delegates who have demonstrated incredible commitment to the budgetary needs and policies concerning people with intellectual and developmental disabilities provided forecasts, warnings, and opportunities for which advocates should be prepared. Our community is so fortunate to have their leadership and to work as partners with them. Speakers included Delegate Reznik; Senators Middleton, Madaleno, Guzzone and Zucker. We recognize that these legislators, along with many others such as Senator Kasemeyer, have the DD community as a priority among the many competing needs and demands they must balance. Each of the legislators reinforced the importance of our collective advocacy. They stressed how important it is for the legislators and officials in the Governor’s office to hear from us – in person, by phone, by letter, or email. We cannot let up – self-advocates, families, board leaders, and staff from provider agencies. In addition, the Governor’s Deputy Chief of Staff, Chris Shank, spoke as did the new Secretary of the Department of Health and Mental Hygiene, Dennis Schrader. This was the Secretary’s first opportunity to meet with MACS members and DD Coalition partners (The Arc Maryland and the Maryland Developmental Disabilities Council). Secretary of the Department of Disabilities Carol Beatty also attended, as did Bernie Simons the Deputy Secretary of the Developmental Disabilities Administration. One of the most important moments in the briefing came when a woman, who introduced herself as a parent of a child with disabilities, addressed the crowd. She thanked the staff from provider agencies in the room and, referencing the legislators’ call for active advocacy, encouraged us to “Harness Parent Power!” She was passionate that the parents and families can be the best of advocates. Indeed, the staff at The Arc Baltimore know this well!! 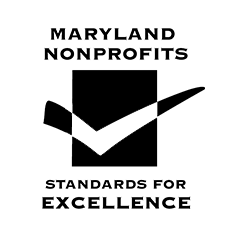 There is still time to Register for DD Day in Annapolis on February 23rd. Our deadline for sign-up has been extended to February 7th. Don’t delay.